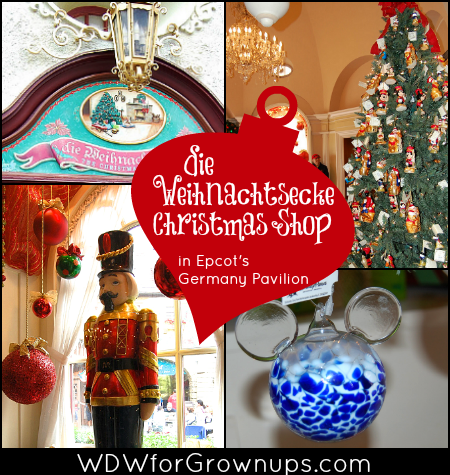 POSTED: Mon, 12/01/2014 - 06:00 | POSTED BY: Traci C.
No matter what time of year you visit the Germany pavilion in Epcot, it's always a good time to stop in Die Weihnachts Ecke (The Christmas Corner). This shop will put you in the holiday mood as soon as you walk in, even if it's a sweltering summer day outside. As soon as you step through the doors of "The Christmas Corner" you'll feel as though you were transported to a quaint village shop at Christmastime. The store is decked out in Christmas trees filled with beautiful (and very fragile) bulbs and ornaments in so many shapes and sizes. It's wise to tell the younger members of your party to "look but don't touch!" as many of the ornaments are glass. A tall Nutcracker soldier stands guard near one of the shop's windows and guests will find nutcrackers for purchase in the shop. 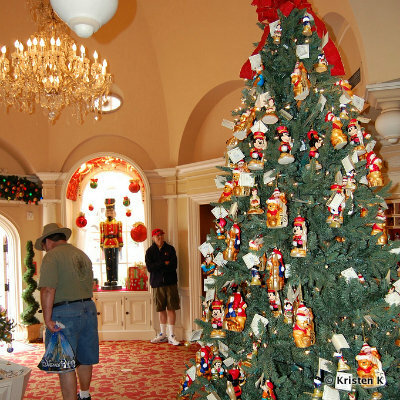 One of our favorite Christmas trees is full of Disney character ornaments including Winnie the Pooh and Mickey Mouse. 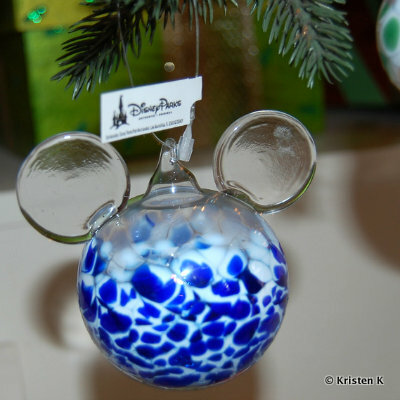 If you have a Disney-themed Christmas tree at home, this is a great place to pick up another ornament for your collection. But perhaps the one thing Die Weihnachts Ecke is known for (more than anything else) is that it is home to the famous pickle Christmas ornament. In Germany the pickle ornament brings good luck and is always the last ornament placed on the Christmas tree. On Christmas Day the child who finds the pickle ornament receives a special gift from St. Nicholas. At Die Weihnachts Ecke guests will find an entire tree decked out in pickle ornaments. The Germany pavilion is home to some of the best shops in World Showcase, and Die Weihnachts Ecke (The Christmas Corner) is no exception. It's a great place to feel a little holiday cheer any time of the year, and it's a perfect spot to pick up a wonderfully unique and beautiful souvenir. 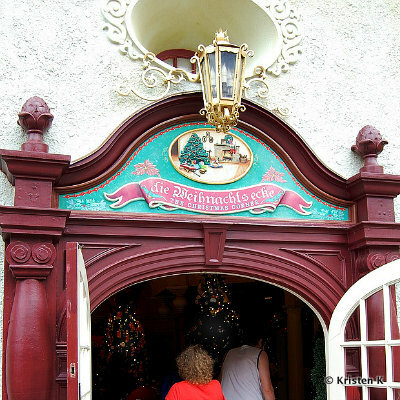 Do you make a stop in Die Weihnachts Ecke when you visit the Germany pavilion? And do you have a pickle ornament in your tree? Leave us a comment and let us know. Many thanks to Kristen K. for use of her beautiful photos! I wish you could order directly from this store. After my visit there I have wanted another ornament and can't get it from this store. Can I order an ornament and have shipped to my in time for Christmas?